Emirates operated a one-off A380 service to Vienna yesterday. The carrier’s superjumbo was the first scheduled A380 service to Vienna International Airport. It marked Emirates’ tenth anniversary since it first launched flights to Austria in May 2004. Replacing flight EK125, the service departed Dubai at 1715 and arrived in Vienna at 2110 local time. Return flight EK126 took-off from Vienna at 0020 this morning and landed in Dubai at 0800. 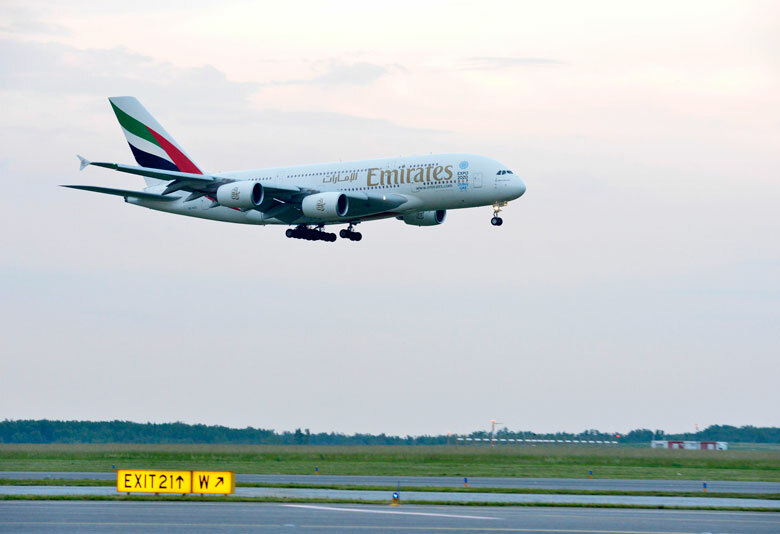 The move might be a prelude to Emirates inaugurating a regular superjumbo service to the city. The Gulf airline last month flew a one-off A380 service to Glasgow (see news, February 12). It currently has 48 A380s in service and 92 on order, more than any other airline.